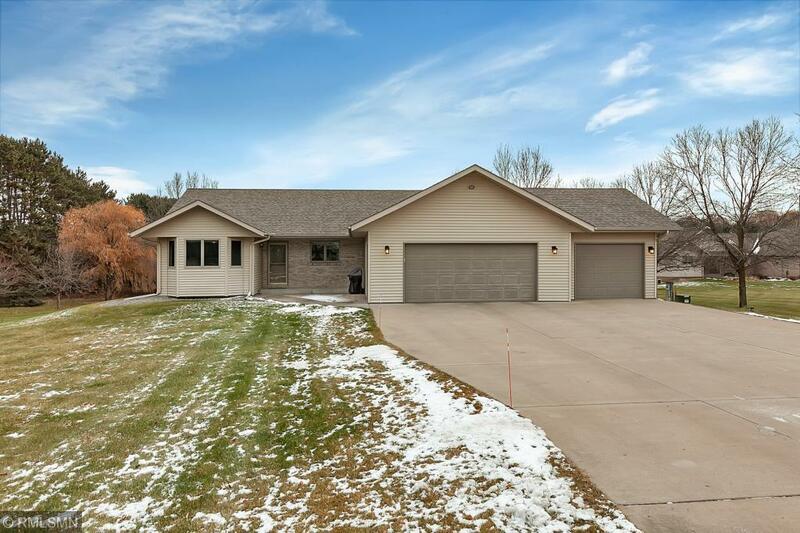 Hard to find walkout rambler on private 2+ acres of land in the Hillview neighborhood. Complete main floor living with open concept kitchen/dining area, large living room with vaulted ceiling, laundry, spacious master suite w/ full bath and large walk-in closet. Lower level includes walkout, gas fireplace and wetbar. 3 stall insulated garage with 3rd stall heated. Entertain on the large deck and/or patio. Conveniently located close to town.